Is It Problem Gambling or a Gambling Addiction? Pathological gambling (gambling addiction) affects more than 2 million Americans, with as many as 15 million suffering from some degree of a gambling problem. 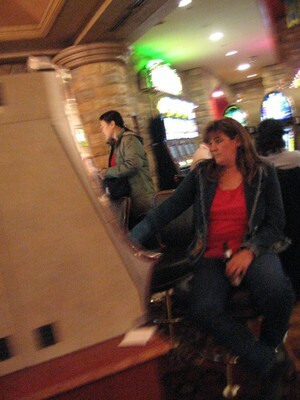 Gambling addiction is most commonly seen in younger adults. People with gambling addictions are more likely to have a substance abuse problem and are more at risk for mood disorders like depression. Tragically, gambling addiction is very highly correlated with suicide. Often, gambling addicts are able to hide their compulsive behaviors better than drug addicts or alcoholics - so, a gambling problem can go undiagnosed for years. Although nothing is consumed, gambling addiction shares many similarities with substance addictions, and is classified by the American Psychiatric Association (APA) as a disease. Gambling addicts are addicted to the high of the action, and will ultimately chase this high even in the face of great personal destruction, just as an alcoholic will drink in the face of adverse consequences. The progression from recreational gambling to problem and ultimately pathological gambling can take years - or even decades; it can also occur in as little as a single year. Certain gaming outlets, such as fast paced video lottery terminals, have proven very addictive – and are known as the crack cocaine of gambling for good reason. Although problem gamblers often endure hardship from their betting, once gambling becomes pathological, the addict no longer controls their actions, and will commit desperate acts to continue to gamble.